Marvel Studios has confirmed that Avengers: Endgame will release one week earlier, on April 26th, 2019. The Avengers 4 trailer was finally released today after months of speculation. There were questions about who would and wouldn't be shown, what the title would be, but nobody really thought about the release date. With that being said, when the Avengers 4 original release date was announced, it was rumored that it would be moved up a week, just like Infinity War was. 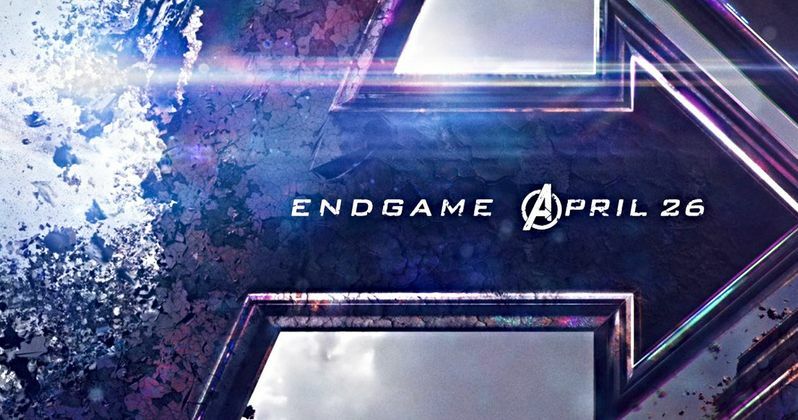 As for the reasoning behind the Avengers: Endgame release date change, it all has to do with spoilers. Marvel Studios always does an impressive job of keeping things from leaking, and one of the best ways to keep them from happening as the release date approaches, is to launch the movie on the same day all over the world. With that being said, Marvel Studios could change the date as it comes closer, much like they did back in April with Infinity War. Luckily, the release date change for the last movie really helped combat huge spoilers from hitting the internet. It was teased that this would be a huge week for Marvel Cinematic Universe fans, and it already has with the release of the second Captain Marvel trailer and Avengers: Endgame. It's looking like the first Spider-Man: Far From Home trailer will drop tomorrow at Brazil Comic-Con, which will be pretty crazy if it does. Peter Parker is spotted in the Avengers 4 trailer briefly as a picture of one of the heroes who is missing, so it's going to be very interesting to see how Sony and Marvel Studios chose to make a trailer with a hero who is still technically dust. Along with the release date change for Avengers 4, we also received the official Avengers 4 title, which is Avengers: Endgame. The Russo Brothers claimed that nobody had guessed it correctly more than a few times over the last few months, but it was one of the first few titles that fans thought of, and something that Doctor Strange said in Infinity War. While Marvel Studios boss Kevin Feige thought that the title speculation had backfired, it appears that fans are just happy to finally know the official title and the new release date. Avengers: Endgame will open without any real threats at the box office. Captain Marvel will hit theaters on March 8th and then Spider-Man: Far From Home follows on July 5th. This is an incredibly tight release schedule, but it appears that Marvel Studios knows what they are doing when it comes to marketing all three movies. It's already been an awesome week for MCU fans, which will more than likely go down as a very memorable time for fans. If receiving the first trailer wasn't enough, the first poster for Avengers: Endgame has also been released. You can check out the new poster, which contains the updated release date below, thanks to the Marvel Studios Twitter account.